There's nothing quite like a soak in one of Japan's gorgeous onsen! As a tattoo-clad resident of Japan, I know firsthand how difficult it can be to find a facility that accepts visitors with tattoos. Fortunately, Oita Prefecture's hot spring hotspot Beppu makes it really easy, with a stunning 100 facilities that allow tattoos! Oita Prefecture is tucked away in the northeast corner of Japan's southern island, Kyushu. Surrounded by mountains and the Seto Inland Sea, Oita might be best known for Beppu, a city with a gorgeous onsen resort area that boasts the largest volume of hot spring water in Japan (second largest in the world!). 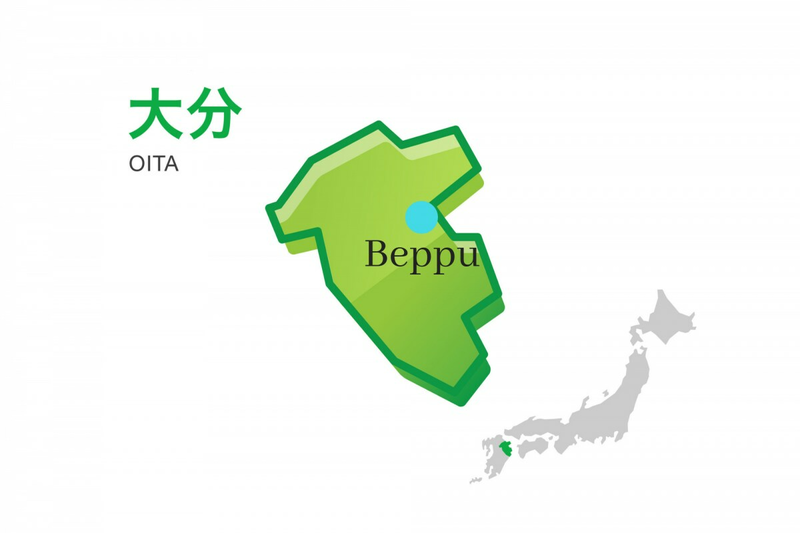 Beppu is known outside of Japan as the host of its annual International Wheelchair Marathon, and has gained more attention since it was selected as one of the venues selected for the 2019 Rugby World Cup in Japan. As Beppu gears up to welcome international visitors from around the globe, the tattoo-clad among them wonder whether or not they'll be able to enjoy the legendary hot springs for which the city is so famous. You can learn a bit more about the reasoning behind tattoos being banned from onsen here, but it's suffice to say that it's a pretty ubiquitous part of the culture surrounding Japanese hot springs, and has been for awhile. Fortunately the city of Beppu sees things a little differently—if someone comes all the way to the onsen capital of Japan, they should also be allowed to enjoy a luxurious soak regardless of whether or not they've had some ink done! That's why they're proud to be home to 100 tattoo-friendly hot springs! That means that international visitors (or residents with tattoos like myself) can enter an onsen while still respecting the important etiquette surrounding them. You can find a map of Beppu's onsen here, and more detailed descriptions of some of the facilities that allow tattoos here. Just keep in mind that the list is subject to change, and that it's best to check with facility staff before you dive in, so to speak. You can find more information about incredible sightseeing spots in the area at All About's hub for all things Oita. Happy soaking!